This is a superb opportunity to visit the Holy Land at an exceptional price. Return flights Manchester, Luton or Gatwick  Tel Aviv. Airport duty & passenger taxes. 1 suitcase per person for the air-craft hold, 20kgs. Coaching in the Holy Land. Boat ride on the sea of Galilee. £1195 per person in a single room. Departures from Manchester, Luton and Gatwick airports for the flight to the Holy Land, on arrival at Ben Gurion Airport, meet with our professional tour guide, who will be with us during our visit. We transfer to Bethlehem to our hotel, dinner will be provided on arrival. After breakfast, we start the day at the Nativity Church, the birthplace of Jesus Christ, celebrate Mass there. Visit the Grotto of St. Jerome and Milk Grotto. Continue on to Beit Sahour to visit the Shepherd's Field. In the afternoon, head to Ein Karem, the birthplace of St. John the Baptist to visit the church that commemorates his memory. Then walk up the hill to reach the Visitation Church. Return to the hotel for dinner and overnight stay. After breakfast, we travel to the of the Mount of Olives; visit the Chapel of the Ascension and Pater Noster Church where Jesus taught the Lord's Prayer to his disciples, enjoy the panoramic view of the old city of Jerusalem Walk through Palm Sunday route to reach Dominus Flevit Church where Jesus wept over the fate of Jerusalem. Visit the Garden of Gethsemane and the Church of All Nations for Mass on the Rock of Agony. 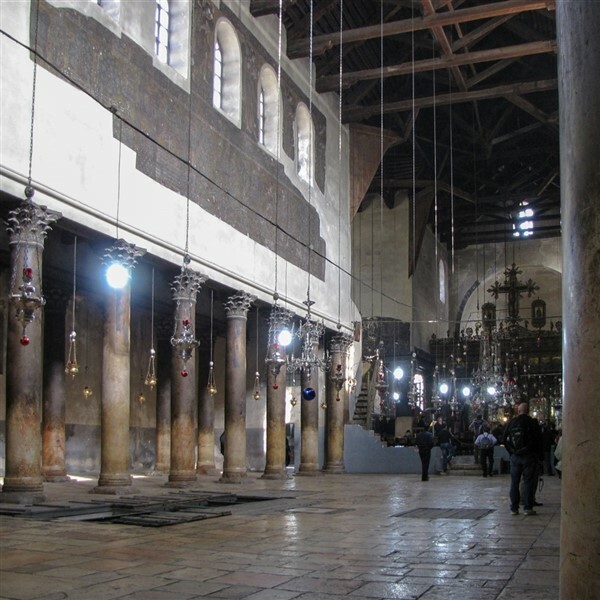 Proceed to the Western Wall, and Mount Zion, visit the upper room where Jesus had his Last Supper with the Disciples, Tomb of King David and Church of Dormition, then walk to the Church of St. Peter in Gallicantu, the house of Caiaphas where Jesus was held for a night after he was arrested from the Garden. We go back to the hotel for dinner and overnight stay. 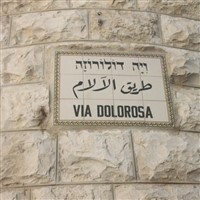 An early start as we walk the Stations of the Cross from Via Dolorosa, to reach the most sacred place for Christians, which is The Church of the Holy Sepulcher to visit the Golgotha and the tomb of our Lord. Then continue on to visit St. Anne's Church where the parents of Virgin Mary lived, nearby view the Pool of the Bethesda. We then travel to Bethany where Jesus raised Lazarus from the death, visit the tomb of Lazarus, celebrate Mass there. Today we proceed through the Judean Wilderness to ancient Jericho, the oldest inhabited city in the world. From the top of the ancient "Tel", you will enjoy a beautiful view of Elisha's fountain, the Mount of Temptation and later the Sycamore Tree. drive to Qumran where the Dead Sea Scrolls were found. We return to the Hotel for dinner. After breakfast we travel to Emmaus where the resurrected Jesus met the two disciples and shared a meal with them. We then visit Caesarea, which was once the ancient capital of the Roman province. 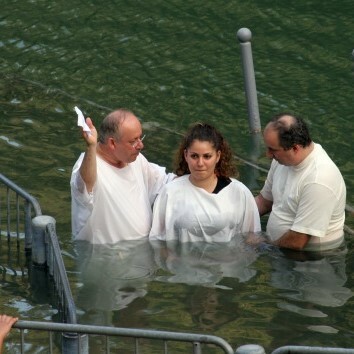 We then visit the River Jordan where you can renew your Baptismal promise. We then make our way to Tiberias where we check-in to the Hotel for 2 nights stay. After breakfast we Start the day by enjoying a scenic boat ride across the Sea of Galilee, where you will find a 2000 years old boat recently uncovered on the shores of Galilee. Continue on to Capernaum; the home of our Lord during his ministry, visit the synagogue. Drive to the site of multiplication of loaves and fish "Tabgha", continue on to visit the Church of St. Peter's Primacy. 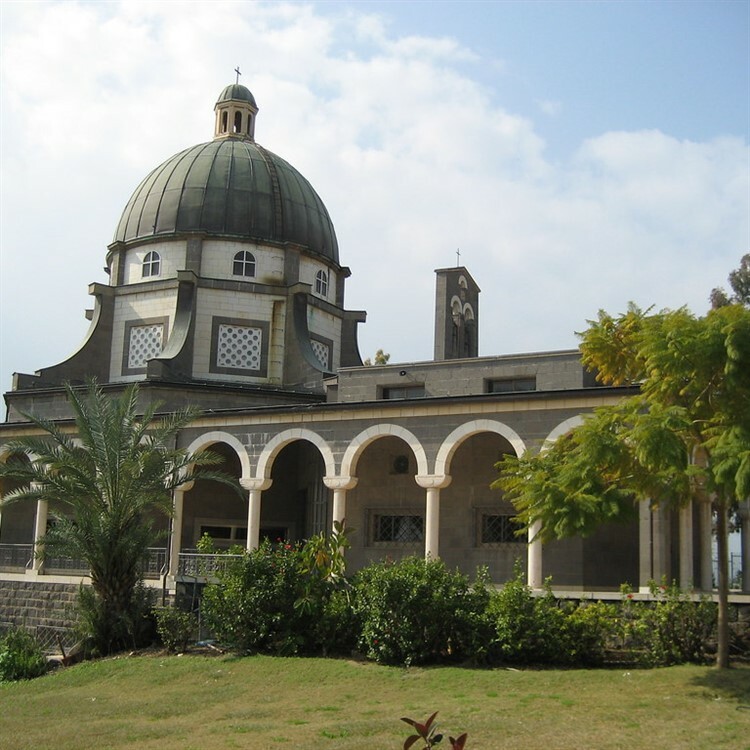 Ascend to the top of Mount of Beatitudes to celebrate Mass in the scene of Jesus' great Sermon on the Mount. Drive up to Caesarea Philippi, where Jesus told St. Peter "You are the rock, and upon this rock I will build my church". Dinner will be taken in the hotel. Only six miles south of Jerusalem you will find Bethlehem, the birthplace of Jesus of Nazareth and a site of invaluable significance to the Christian world. Bethlehem remains to this day a prime destination for Pilgrimages to the Holy Land. Despite Bethlehem's proximity to the Israeli city of Jerusalem, it is situated in the West Bank and officially under Palestinian jurisdiction. The city houses one of the oldest Christian communities in the world, and is home to the largest Palestinian Christian community in the Middle East, Bethlehem's stout Christian community remains in tact, gaining much of its strength from Christian travel and tourism.